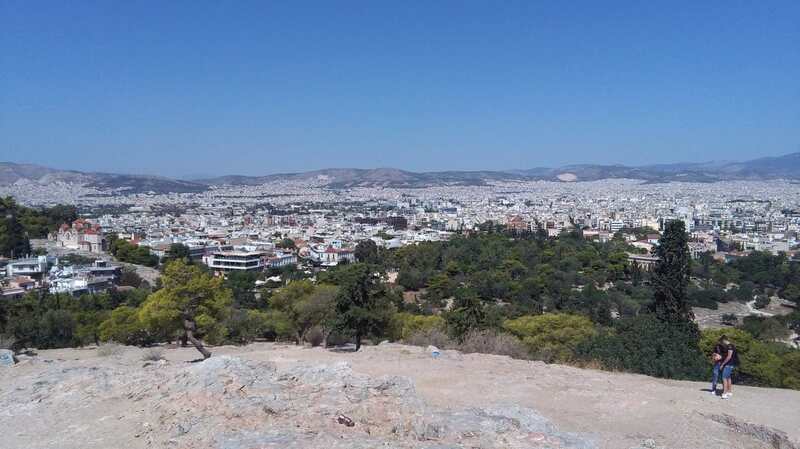 Gil went to meet Athens, a city of stories and myths, gods and heroes. Está a ler a versão em inglês deste artigo. From a young age, I always wanted to visit Athens, city of stories and myths, gods and heroes, that always fascinated me since I saw the Disney movie “Hercules”. However, the years pass, the responsibilities increase and dreams get delayed. Until I participated in a Erasmus + project in Romania, and met and became friends with a group of six extraordinary Greeks. Therefore, I started to associate Greece with the heart, and those faces, that, full of friendship, kept insisting me to pay them a visit. And, before new responsibilities create an obstactle, there I went for a week of fun in Athens (plus 5 more days in Thessaloniki). And, man, oh man, how I got surprised! A vibrant and young city, very aware of the tourism as its best feature. Everywhere I looked there was a souvenir store, and tourists of every nationality (and, of course, Portuguese). 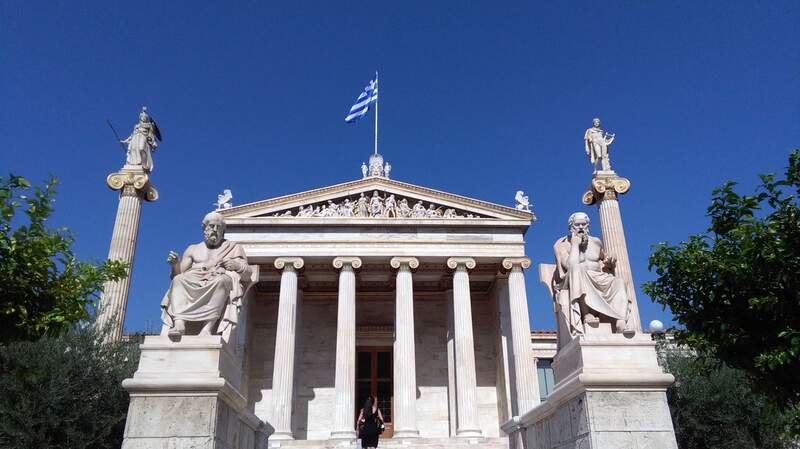 The touristic part of Athens can easily be seen in three days, being the main attractions close to each other. 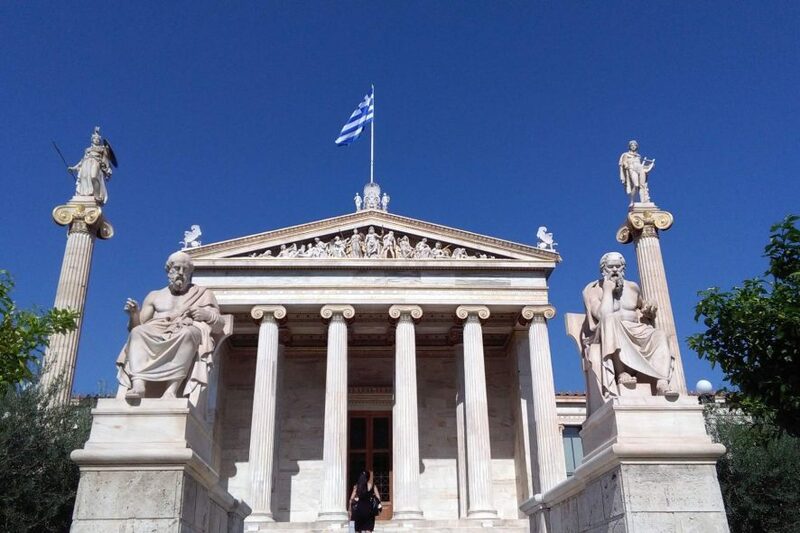 So, since I went with a lot of time to spend, I was very lucky to have a friendly and unstoppable personal “guide”, who, not only showed me Athens, but also the Athenians, their way of life and the best spots of the city that aren’t in the tour guides. Like the “the best view of the city” or the “most awesome shop in the world”. That was really special, because it gave me a different view of the city. 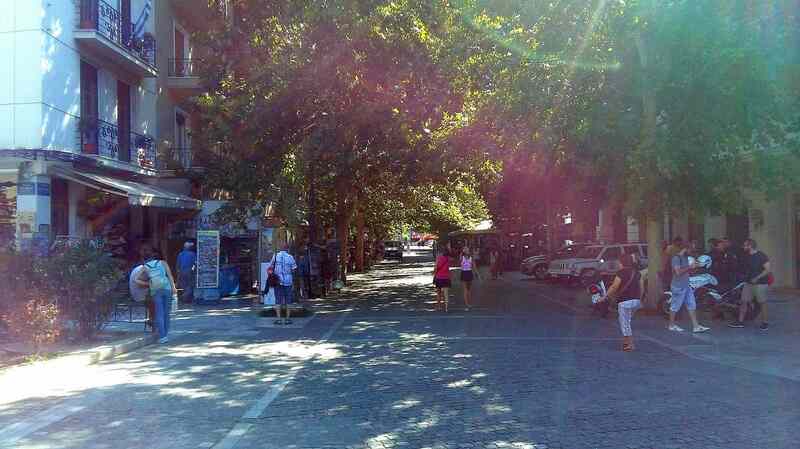 So, if you go with time to spend, sit in the park or a bench and enjoy an awesome souvlaki, or take a tour in the commercial streets between the Akropoli and Monastiraki Square, and listen to that strange and special language as it enters your ears. 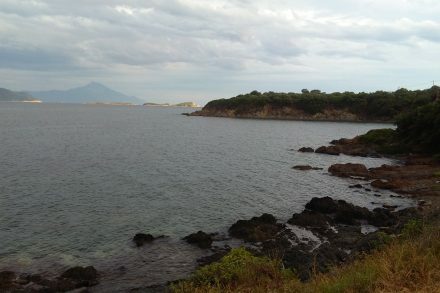 Or take a walk on the Natural Park and the Beach Side of Athens, while listening to traditional greek music. The beaches are of a bright blue and the sand is so soft that it feels like it will swallow your feet, making envy to any occidental beach (specially, comparing to the water in Portugal), making you want to stay there for days and days. 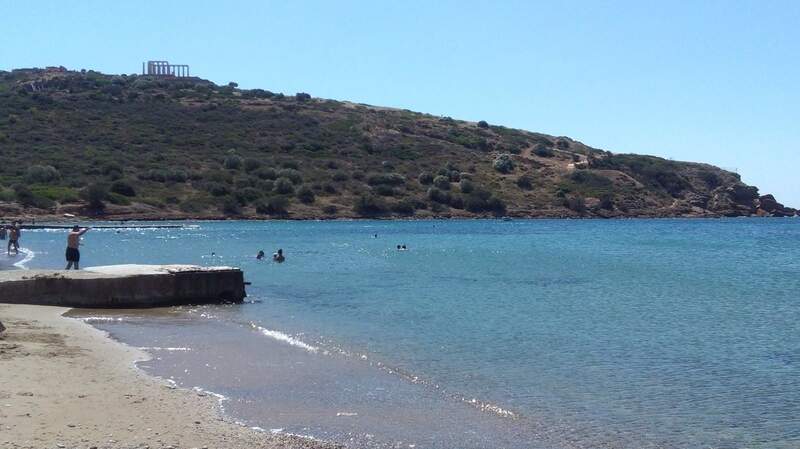 I personally recommend the beach of Sounion, a place on the outsides of Athens, given that the trip is already worth it just for the landscapes. Once you’re there, make sure you also visit the Temple of Poseidon, that comes with an interesting story and a great view. Three things really caught my eye. There are flags EVERYWHERE. Not only on touristic sites, but also on houses, coffee shops and on the street. 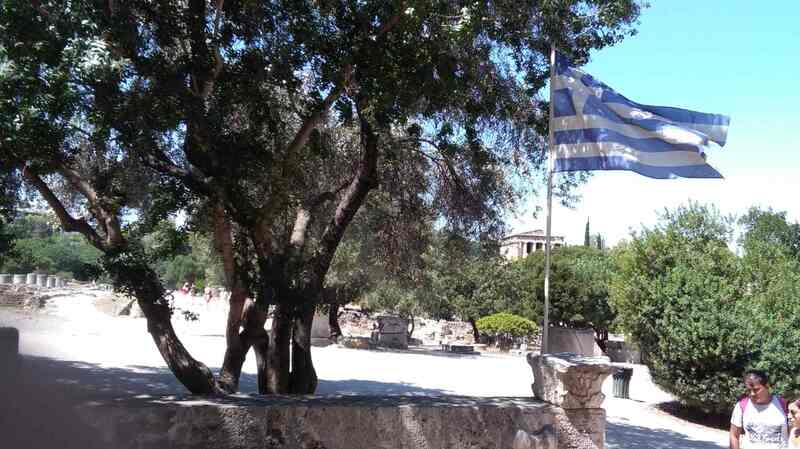 The striped white and blue flag is a must on Athenian views. The water is free in every bar and coffee shop. It doesn’t matter if or what you order, they always serve you a glass or jar of fresh water (from the water tap, but still). Being a country with multiple water sources, it helps to the Athenian hospitality. The public transportations are relatively affordable. I was able to go corner to corner of the city, by subway, with only 60 cents, no matter how many stops I did. It’s good if you want to save your money for something else. 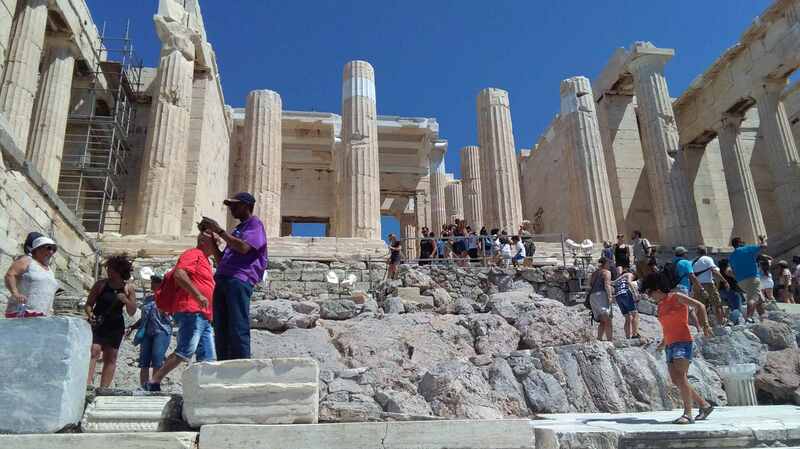 Counting besides the classic monuments and the terrific landscapes, Athens offers a multitude of interesting key spots that will delight any History buff, or anyone interested in stories. It was a trip that started with very high expectations, and, ended up surpassing them, making me leave the city, to Thessaloniki, with a heavy heart but a gigantic smile. P.S. 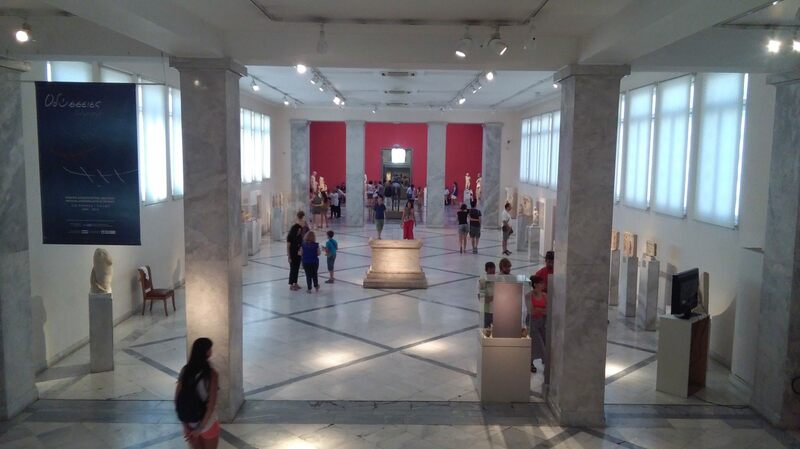 While in Athens, I “have” to thank Valerios and the Stais family, Corinna, Elpida, Yannis and everyone that helped make this one of the best experiences ever. Greece is a Mediterranean country and therefore with very high temperatures in the months of April to October. The mildest months are from November to March, with temperatures usually not too low.